Numerous manufacturers already showed notebooks at Computex, which will be equipped with the mobile GPUs based on Pascal in the near future. There are no official details about the GPUs yet. We collect all current information in the following article. Nvidia will most likely announce the new notebook GPUs based on Pascal (see our architectural overview) in August. It currently looks like the time frame could be around the Gamescom. There are supposed to be three new models at launch. The high-end model will be the successor to the GTX 980 for notebooks. 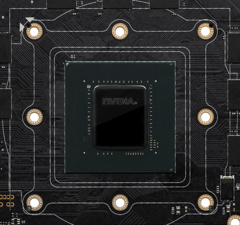 The notebook chip with the code name "N17E-G3" will probably have the designation Nvidia GeForce GTX 1080 and both the performance as well as the specifications will be very similar to the desktop model. The number of shaders is supposed to be identical, and it will depend on the cooling solution of the notebook, how high the clocks will be and how long this level can be maintained. However, we expect the performance to be similar to the desktop model in many notebooks (also see our GTX 1080 Desktop review), which was also the case for most of the GTX 980 notebooks. It seems the designation of the next card in line, which is also the successor to the GTX 980M, is not clear yet. It will still be decided whether the the card will carry the designation of the desktop version GTX 1070 or GTX 1080M or GTX 1070M. The code name is supposed to be "N17E-G2". The performance should be a bit lower compared to the desktop GTX 1070. 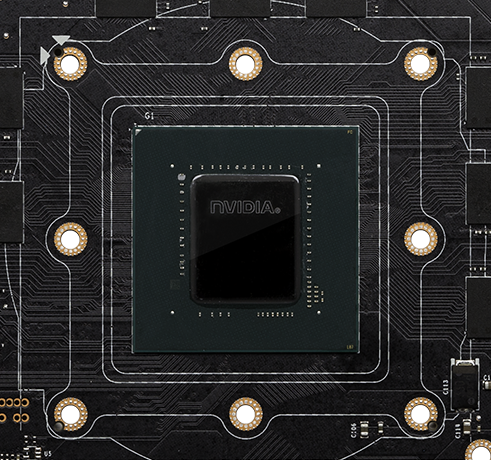 However, the TDP is 10 Watts higher than the 980M, so the majority of notebook manufacturers also displayed new models with enhanced cooling solutions for "next generation Nvidia Graphics". The third version of the GP104 will probably be a chip with the code name "N17E-G1", but the marketing designation is once again not yet known. You can speculate about GTX 1060 or GTX 1070M, maybe even GTX 1060M. It also has a 10-Watt higher TDP compared to the old GTX 970M, but the performance is most likely much better. One indicator for this assumption is the VR Ready certification, which required at least a GTX 980 (for notebooks) so far. The smaller chips and successors to the 960M and 965M are expected later in 2016. The possible release might be October according to some rumors with the code names N17P-E1 (965M successor) and N17P-E0 (960M successor). There are no official designations yet. They will probably depend on the naming scheme for the high-end chips and could be GTX 1060M, GTX 1065M, GTX 1050 or the like, for example. The non-GTX models and successors to the GeForce 940MX and below are still pretty far away. The existing Kepler chips will still be available for a while. More information about mobile graphics cards is available in our constantly updated benchmark and gaming list. Kaby Lake based notebooks are supposed to launch in 2016 as well, but only with dual-cores. The improvements will probably be limited to the graphics and video functions. This means they are not so important for gaming notebooks, because both areas are also covered by the dedicated graphics card (see our Pascal architecture overview).